Enzo Casino was established in 2016, and it is operated by the Game Tech Group NV since then. Game Tech is a medium-sized group in the online gambling industry and operates 7 more casinos. Some of them are Times Square, OceanBets, Madame Chance, Casino Triomphe, and Crazy Casino. Enzo and Times Square are the flag-carriers of the group: They are the oldest and biggest casinos. The Game Tech Group is located in Curacao and has an office in Cyprus. They are active on social media and review sites. A representative of the company answers almost every comment and questions about the casinos of the group. Enzo Casino operates under the license of Curacao eGaming. As known, this has been one of the oldest electronic gaming licenses around since 1996. It has an excellent price/performance ratio: Not as pricey as Malta & UK Gambling Commission licenses, but still prestigious and used by many brands. In addition, all the pages of the Enzo Casino website are encrypted by 128-bit SSL, provided by AddTrust AB. 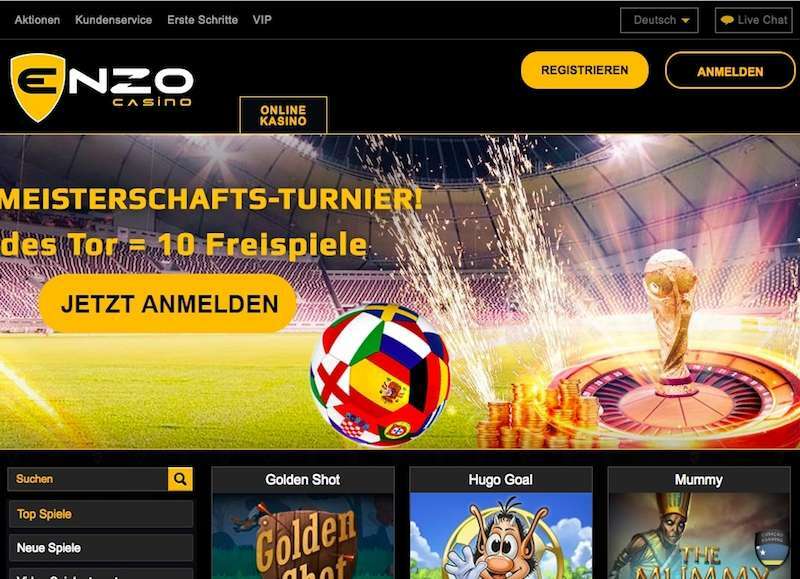 Like all other casinos of the group, Enzo also supports responsible gambling practices and offers the chance to limit an account whenever needed. You can put restrictions on your play time, your budget, the games you can play, and close your account anytime you want. The design of Enzo Casino is not very appealing, but it is practical. Simple visuals are used for the design, this choice affects navigation and page loading speeds positively. On the main page, the most commonly used links are placed in the left corner. You can reach to any category of casino games by using the links on this menu. Signup & login buttons are located in the upper right corner. And at the upper left corner of each page, you can see the links for promotions and support. It is very easy to understand what you need to do, even if you are a beginner. The main page also lists all of the popular and best games in different categories, so you can start with these recommendations if you want. The website is encoded with HTML5. This provides two things: Faster page loading speeds and mobile compatibility. Whatever your mobile operating system is (iOS, Android, etc.) you can enjoy the Enzo Casino website without a problem. The design of the mobile site is also practical and simple. Unfortunately, there isn’t a separate mobile app available. However, this is not a problem: Just visit the site with your mobile device, and you are good to go for mobile gambling. The website can be seen in 10 different languages. Enzo Casino does not accept members from the following countries: the USA, Turkey, Israel, and Singapore. However, even they are accepted, some games are not available for certain countries. For example, the Netent game collection is not available for residents of Belgium, France, Spain, Italy, Bulgaria, Canada, Denmark, Estonia, Portugal, Romania, the United States of America, and the United Kingdom. This offer is limited to the first deposit only, and it can be used once by new members. The second deposit receives no bonus. There is a wagering requirement with a 33x rate. To put simply, your bonus is a “virtual money” until the requirement is complete. You can see it on your account page, but you cannot use/withdraw it. Once you complete the requirement, the bonus amount will be transferred to your balance automatically. After that, you can use it to play more games with real money and/or withdraw the amount. In order to complete the wagering requirement, you need to wager the deposit + bonus amount 33 times. So if you have won 1.500 EUR from the campaign, for example, you need to wager 49.500 EUR + deposit amount first. Only slot games contribute 100% towards the wagering requirement. Table and card games contribute 10%. There is also one important detail: Once a player uses the bonus on a slot machine, he/she must complete the wagering requirement entirely on slots. The same thing also applies to table & card games. As it is obvious, you should opt-in for the slot machines since they contribute more. Do not complete the requirement with table and card games, it can take much longer. There is no time limit to this requirement. You can complete it even months later. However, if your balance drops to zero before completing the requirement, your bonus will be reset. 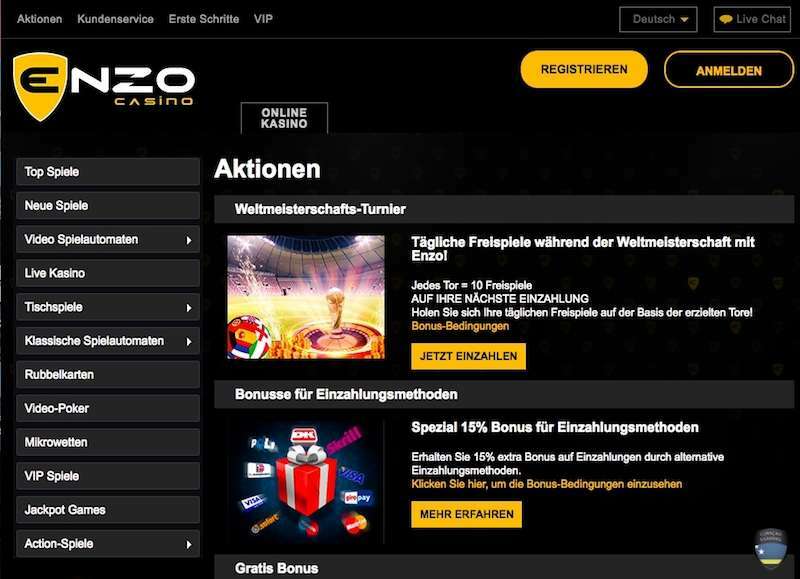 Citizens of the following countries are accepted to Enzo Casino, but they cannot benefit from the welcome bonus: Algeria, Libya, Sudan, Nigeria, Mali, Morocco, Djibouti, Congo, Kenya, Niger, Uganda, Angola, Namibia, Mozambique, Zambia, Afghanistan, Armenia, Bangladesh, Uzbekistan, Vietnam, Turkmenistan, Tajikistan, North Korea, Malaysia, Macau, Kyrgyzstan, Kazakhstan, Indonesia, Somalia, and Palestine. The wagering requirement is 25x. So if you have won the full bonus amount, you need to wager 25.000 EUR + deposit amount first. You need to contact the customer support to receive this promotion. Only they can redeem it for you. Enzo Casino uses a comp point system, and once you reach 1.000 points, you can convert them to 10 EUR & transfer to your account. There is no maximum limit, as long as you win enough comp points, you can convert them to EUR. However, the maximum cashout is limited to 100 EUR. There is also a wagering requirement, but only the customer support can say its rate. This bonus is specific to each player, and the rates & rewards are subject to change according to your account history. Free spins can only be used on Betsoft slot machines. Winnings from free spins are subject to wagering requirements, which will be provided by customer support. The maximum withdrawal amount is 100 EUR for free spin winnings. 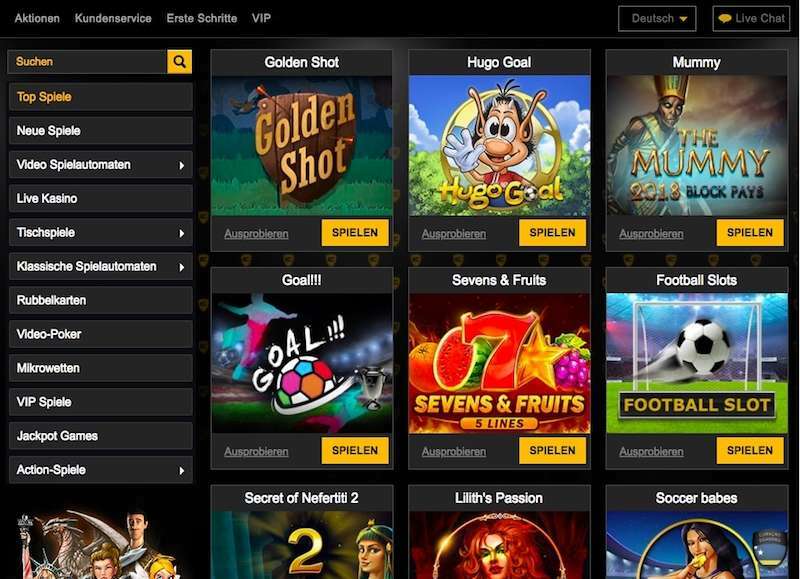 You also need to deposit 50 EUR within 4 days of receiving the free spins. Otherwise, they are removed from your account. Go to your account page. You will see a menu on the left. Choose either “deposit” or “withdrawal” from this menu, according to your purpose. A new interface will be displayed showing the supported methods. Currently, you can use one of the following methods for deposits and withdrawals: Maestro debit cards, VISA/MasterCard credit cards, Neteller, Paysafe Card, Skrill, ECO Payz, Bitcoin, Sofort, UKash, EntroPay, PostePay, and GiroPay. Please note that the methods displayed may be less or more than these according to your country. Click on the desired method and define the amount you want to deposit & withdraw. Click on the “continue” button and confirm the transaction. Live Chat: Available via website 24/7. Click on the “live chat” button located at the upper right corner to activate the feature. In addition, you can use this postal address for written inquiries: Voukourestiou, 25 Neptune House, 1st floor, Flat/Office 11 3045, Limasol, Cyprus. The main providers of Enzo are Playson, Betsoft, and Spinomenal. It is also possible to see Netent, Booming Games, Felix Gaming, and Fugaso games. However, their games are not fully available for every country, as mentioned above. In total, it is possible to see around 400 games in different categories at Enzo. Live dealer games are also available. The provider of this service is Extreme Gaming, and a total of 30 live casino games are offered. You can also play exotic games such as Reels of Fortune and Fortune Wheel in addition to casino titles. All games support mobile operating systems, and they can be tried for free. Without the need to become a member, you can play any game out of cost by clicking on the “try it” button. Please note that while casino games support mobile devices, some exotic titles are developed with Flash and require Android operating system. There is also a special category called “Micro Bets”. Games under this category have smaller interfaces than usual, so they are suitable for mobile gambling. If you are a mobile gambler, it is recommended to start with the games under this category. Game collection is big enough to appeal every liking. Enzo Play online casino is a humble one: It may not look very appealing, but still does the job perfectly. We recommend it, especially to old-school gamblers. Bitcoin support is another big plus since it allows you to send & receive money from anywhere in the world, regardless of your local laws. And don’t forget that telephone support is a feature that many “big” brands fail to provide. Enzo Casino offers classic gambling fun without all the bells and whistles. It does not claim to be the “best looking” casino around, but it offers a solid gaming experience. Enzo caters to every type of player out there – sometimes, classic gambling is the way to go.